In the first of two posts today that focus on the banking sector, we will start by looking at the troubled bank RBS. We have looked at RBS on a large number of occasions here in Financial Regulation Matters, with posts ranging from its incredible losses since the Crisis, the bank trying desperately to keep its high-ranking officials (mostly former) out of the court room, and also its appalling treatment of SMEs. In continuing the first and third areas of focus, news recently adds developments to these stories which detail a bank on its knees. However, by adjoining these analyses with the examination of the Government, its regulators, and also Parliamentary committees, the bank’s future comes into focus and is, seemingly, in a particularly precarious phase for a number of reasons. Looking first at the issue regarding the bank’s treatment of SMEs, via its notorious ‘Global Restructuring Group’, we are no strangers here in Financial Regulation Matters to the developments in this story, and of the appalling practices of, essentially, running SMEs into the wall and collecting the pieces and the fees – a practice made famous by the ‘rogue’ unit within HBoS. The allegations have come in their thousands, with concerted campaigns aimed at bringing these practices to light, but one can only focus on the ‘alleged’ practices at the bank because, up to this point, the FCA has played its part in protecting the bank by commissioning reports and then heavily censoring them and releasing only snippets. However, after a movement by the Treasury Select Committee, headed by Nicky Morgan, it appears finally that RBS’ practices will come to light so that we can all know, hopefully, exactly what they have been doing – and then, hopefully, see some particularly impactful action taken for this despicable practice. It appears this way because, today, it was announced in the business media that the Treasury Select Committee has won its battle with the FCA to release the full report to them, with Friday being set as the deadline to either publish in full or release the report to the MPs. It is being reported today, however, that the FCA are still attempting to resist these attempts, although MPs are growing considerably exasperated at developments with many now pushing for full publication. The original excerpt released by the FCA stated that it did not believe that RBS deliberately undermined companies for profit, although there was ‘widespread mistreatment of firms’ and that 16% of cases resulted in ‘material financial distress’; the conflicting information has increased the pressure for full publication. Speaking to the Treasury Select Committee last week, RBS bosses were adamant that cases were ‘isolated cases’, although a Labour MP who has the full report stated that these accounts equated to ‘misleading’ the Committee, as the report suggests that this treatment of SMEs was ‘systemic’ in nature. It is this conflict that has led to Morgan demanding that, by Friday, the FCA release the full report because ‘it is unreasonable that, four years since the review was commissioned, and 18 months since the FCA received the final report, such slow progress has been made…’. 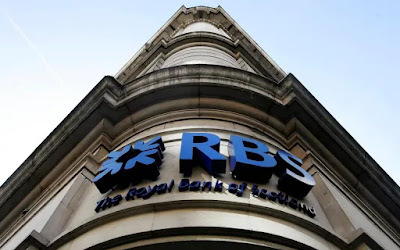 Yet, today’s headline in The Guardian that the ‘confidential report into RBS small business scandal “to be published” may be a little presumptuous, as the FCA has demonstrated time and time again that it will protect RBS because of one massive reason – the effect of its publication. Whilst the endeavours of the Treasury Select Committee is, on this occasion, to be applauded, the reality of the situation is that the bank simply cannot afford these details to be published at the moment, and the FCA know this. This should not be a reason to restrict justice, but the bank is facing the prospect of declaring its tenth annual loss and the effects of this scandal, in terms of perception and cost, could prove to be terminal. It is for this reason that the Treasury, as it was reported over the weekend, has been cited as approaching the U.S. Department of Justice to expedite the impending fine coming RBS’ way for its performances in the U.S. market before the Financial Crisis; reports suggest that the Treasury is asking the DoJ to bring forward its fine, which is expected to be more than £5 billion. The suggestion stemming from these meetings is that the fine could be coming in the next few weeks rather than months, but the details mask an underlying sentiment; why are the FCA taking on MPs to protect RBS and why are the Treasury using their political capital to intervene on the bank’s behalf? There are probably many reasons for this, but perhaps the most impactful one is that RBS is simply approaching the point of no return, and the Governmental departments know it. The real question then is (a) will the bank be allowed to fail, and (b) what would the effect of the global banking giant be? What these developments tell us is fascinating. On one end, there are members of the political elite who are determined to promote justice in the face of the flagrant disregard for good business practices and, in truth, illegality. Yet, the developments tell us that the larger picture is always in focus, and protecting consumers goes out of the window when it comes to protecting the system; consider this – the regulator in charge of protecting consumers (it is even in its name!) is actively preventing consumers from achieving justice, and the Governmental department which is tasked with representing the citizens of the U.K., in fiscal terms, is actively working with other jurisdictional departments to present a more comfortable situation for a bank. The effect of these developments is far-ranging, and particularly enlightening to those who choose to observe a shallower level than the systemic level – RBS is failing because of its incredibly poor performance over the past decades, but it will not be allowed to fail because, with all the uncertainties in the current climate, its failure will cause lasting damage. So, what can we learn from this? One thing we can learn is that the Crisis was a warning that has not been heeded and, ultimately, the problems that caused the crisis still persist; Friday will be a telling day for a whole host of reasons. Keywords: RBS, Banking, Treasury Select Committee, Politics, Business, Law, FCA, @finregmatters.